Sometimes, you may need to check the information stored in the Active Directory Global Catalog. This can happen if you want to check that the replication between GC located in separate site is done. 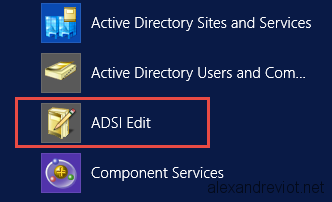 Let’s see how to connect to a GC using ADSI Edit.